Knowledgemill automates the process of organising, sharing, and retrieving emails and documents from anywhere at any time. Email can be filed into Knowledgemill from any mobile device. Knowledgemill automatically synchronises a user’s Knowledgemill folder structure into their mailbox. Moving emails into a synced folder on the mobile device, using the device’s standard email app, files the message into the Knowledgemill system. The Knowledgemill iOS App allows Apple iPhone and iPad users to access their Knowledgemill filed emails and managed documents seamlessly on the device. The App includes the same rich preview technology as the Knowledgemill Outlook Add-In and integrates seamlessly with the device’s native email application when replying to or forwarding on a message. sync Allows users to file email from their mailbox into Knowledgemill, from any mobile device. Rich preview capability for emails and documents, supporting thousands of file types. 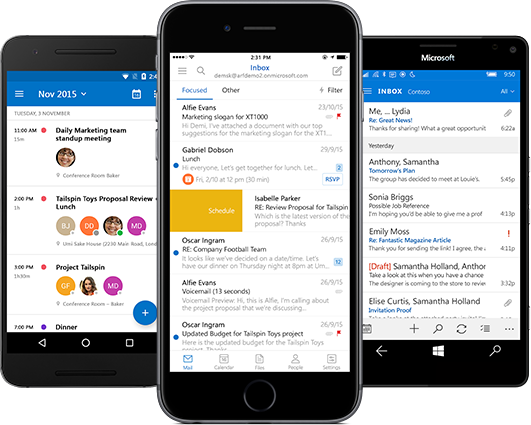 Ability to cache email on the device for performance and off-line access. Powerful search capability over cached content and the KM Server. Compatible with all Mobile Device Management (MDM) Solutions.